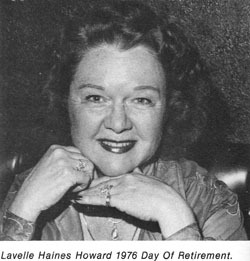 Today we feature Dan McLaughlin’s interviews from The Animation Guild’s 1986 Golden Awards Banquet with Lavelle Haines Howard and Celine Miles Marcus, two women who were among the largely unsung grunts of the animation industry: final checkers and ink and paint artists. Though, Miles work is actually fairly well known, or at least was once upon a time, the same, however, cannot be said for Howard, who split her early career between dancing and animation. “But after I sat for awhile — and I had blinding headaches going home — I finally made it [at Lantz]. I was there for two years, then I was laid off and went back to dancing at Universal — it was my studio. I stayed at Universal for about two years and then I went back. 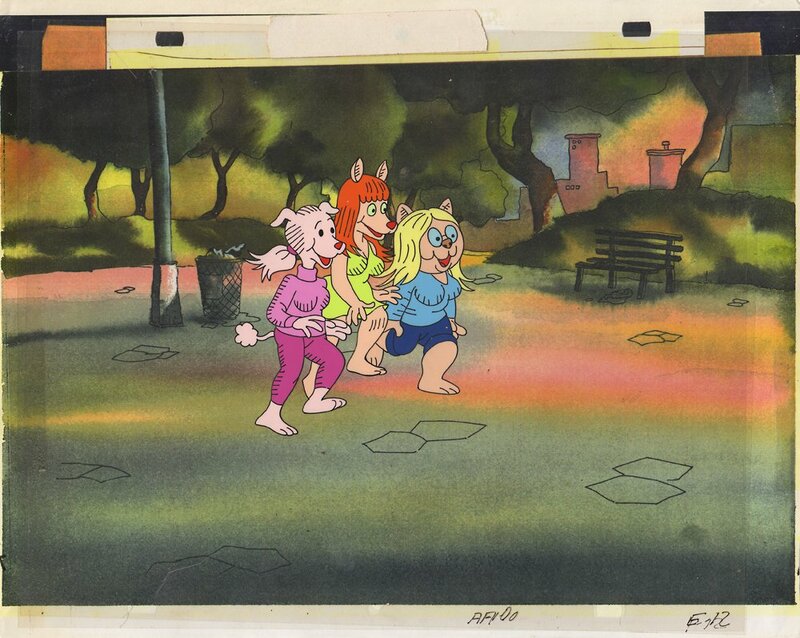 I was back and forth like this until I finished up by staying in the cartoon industry.” She boasted that, over the years, she “taught 12 different girls to final check. 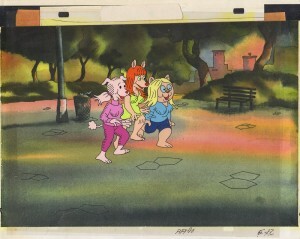 It was very interesting and I loved working at Hanna-Barbera. 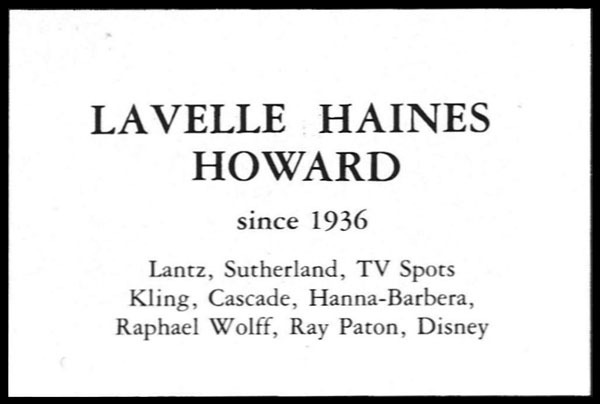 I was there for 21 years.” She also worked at such studios as John Sutherland, Kling, Red Skeleton, Cascade, Raphael G. Wolff, Ray Patin and Disney. 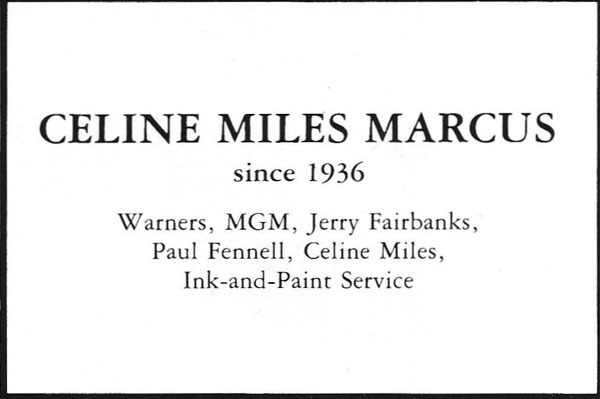 Celine Miles, as she was known, was best known for her company, Celine Miles Ink and Paint Service, one of the premiere studios in the field, which she ran for 23-24 years before retiring in 1979. She began as an inker at Leon Schlesinger in 1936, shifting to MGM as “a color model girl” when they opened their own studio a year later; during her 6-year stay, she also acted as the union’s financial secretary. This was followed by a stint at Jerry Fairbanks as head of ink and paint, working on his Speaking of Animals shorts (created by Tex Avery). Miles then moved on to Paul Fennell’s for “6 years or so” before opening her company. After she sold her company, Celine and her husband, Andrew Marcus, moved to Grass Valley, California, and later to Tucson, Arizona. It was not surprising, unfortunately, that I found nothing about Howard, but Miles fared better, thanks in large part to Martha Sigall, who devoted a short but informative chapter to Celine Miles Ink and Paint in her Living Life Inside the Lines. For those of us outsidse the animation industry, what is a “color model girl”? Harvey Deneroff is an independent film and animation historian based in Los Angeles specializing in labor history. The founder and past president of the Society for Animation Studies, he was also the first editor of Animation Magazine and AWN.com. Harvey also blogs at deneroff.com/blog.